COG driver IC cannibalize deviceis the use ofthe driver IC and LCD GLAS Sperpendicular to the long side of the headwar medbya parallel shift LCD GLASS driver IC to achievestress and dislocation extrusion, glass and driver IC to achieve the separation of the machine.COG technology is mainly used in the driver IC and LCD GLASS poor bonding after heavy maintenance cannibalize. 2.3 Non-standard variety of sizes (according to customers’ requirements) COG driver IC cannibalized equipment. 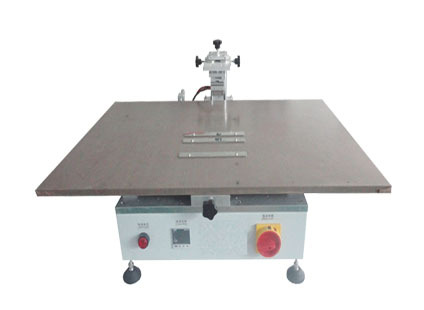 COG driver IC cannibalize equipment is mainly used in the process COG driver IC and LCD GLASS poor bonding after heavy maintenance cannibalize. Such as: LCD TV, LCD monitors, notebook computers, LCD, LCM manufacturers and so on.